Parking & Transportation - The Great New York State Fair! The New York State Fairgrounds has parking for over 23,000 cars. For nearly all non-Fairtime events parking is free unless noted in an event's details. During the State Fair parking is available in our designated Orange, Brown, Pink and Gray parking lots at the Fair. Follow signs from exit 7 on 690 East or West. Cost is $5.00 per vehicle. A free shuttle bus service is provided from the Orange parking lot to the Main Gate. E-Z Pass Plus will be accepted in the Brown and Orange lots. Follow the E-ZPass Plus signs for quick, cashless access. All buses, motor coaches and non-overnight RVs/campers should proceed to the Orange Parking Lot to park at a cost of $5.00 per vehicle. Buses should park and drop off their passengers at Shuttle Stop #3 where they will then be brought to the main gate by the Fair’s Centro Bus parking lot shuttle for admission. Passengers will be returned to the same shuttle stop in the Orange Lot from the main gate by the Centro Bus shuttle as well. Motorcycle parking is offered in the Pink Parking lot across from Gate 3 at a cost of $3.00 per bike. If you leave any of the general parking lots at any point, you must pay the $5.00 cost again to re-enter if you return the same day. For those who decide to ride their bicycles to the State Fair, bike racks will be provided at gates 1, 3 and 10. Click here learn more about our Daily RV Parking in the Pink Lot during the Fair. There is NO overnight parking in any of the Fair's general parking lots. Valet parking will be available every day of the Fair for $20. The dropoff and pickup area will be located on the access ramp to the Brown parking lot along State Fair Boulevard across from Gate 3 (see red star on map to the right). Drivers will leave their car keys with an attendant from Valet Park America, the Fair’s parking contractor. Drivers return to the dropoff area to get their vehicles back and will be able to use a phone application to be able to signal the attendants to have the vehicle ready at a specific time. Tailgating is not permitted in State Fair parking lots. Vehicles may occupy ONLY ONE parking space. Additional spaces are not available for purchase for the purpose of tailgating. Additional restrictions may apply. Disorderly guests are subject to ejection from the parking lot premises, revocation of tickets, and criminal prosecution. Centro will once again provide its popular direct service to the New York State Fair. Centro Express buses will regularly depart from State Fair Park-N-Ride locations across Onondaga, Cayuga, and Oswego Counties arriving at the Fair’s Main Gate. Click here for locations and schedules. Centro Ride Passes and transfers will be accepted on all State Fair service buses. Fares and times will vary depending on location. For more information, please contact Centro’s Call Center at 315.442.3400. Trailways of New York has a terminal stop at the William F. Walsh Regional Transportation Center, located at 1 Walsh Circle in Syracuse. This stop is approximately 4 miles and a quick ridesharing or taxi service trip to the New York State Fairgrounds. Click here for routes and timetables. Now both app-based ridesharing and taxi services will utilize the same area to drop off and pick-up riders. This area is located alongside State Fair Boulevard, between gate 2 where vehicles will enter, and the main gate where they will exit. This area is not to be used for drop off and pick-up by any other non-service type vehicles. There is no drop off or pick-up at the main gate at any time! 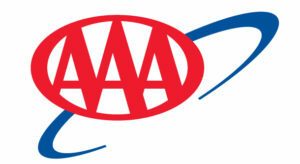 AAA of Western and Central New York will have expert technicians on-scene throughout the course of the New York Stair Fair to assist members and non-members with any automotive issues they may be experiencing. From a flat tire to a tow — AAA will have you covered.